First, let's connect to Office. Click Site Actions, click View All Site Content, and then in the Libraries section, click the name of the library. Click Add to SharePoint sites. A “Library added” message is displayed, indicating that the current SharePoint site has been added to the shortcut bar of the Office Save As and Open dialog boxes. 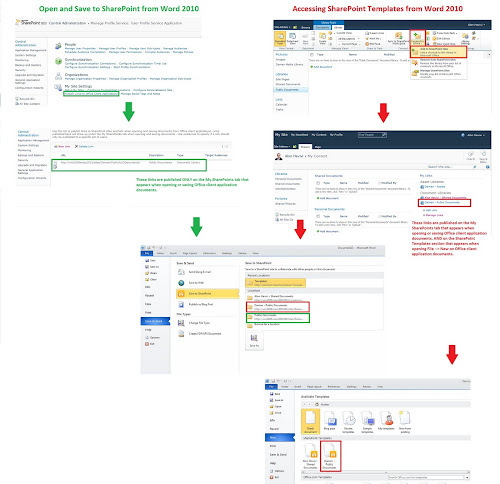 SharePoint 2010 also allows farm administrators to Publish Links to Office Client Applications so that certain users can easily save Office client files in SharePoint. This means a central place where administration can add links for certain users to be able to save Office client files in SharePoint. Click in the Type column of the User Profile Service application to select the row. On the Manage Profile Service page, in the My Site Settings section, click Publish Links to Office Client Applications. On the Published links to Office client applications page, click New Link. On the Add Published Link page, in the URL box, type the URL of the location where users will be able to publish links. In the Description box, type a brief name for this location. This is the name that will appear in the Favorite Links section of the Save As dialog box. Select the type of the location that this link represents. For example, if the target location is a SharePoint document library, select Document Library. In the Target Audiences box, either type the name of the user or group to add or using the address book to find a user or group to add. The figure below shows the differences between these two features (click on a figure to enlarge). "last_modified"="Fri, 06 Jan 2012 16:21:00 GMT"
Caution: Incorrectly editing the registry might severely damage your system. Before making changes to the registry, you should back up any valued data on the computer. The user is running a 64-bit version of Internet Explorer. The ActiveX control necessary for Connect to Office is not installed or is not running in the browser. Microsoft Office is not installed on the client computer. Security settings in Internet Explorer prevent ActiveX controls from running. The browser does not support ActiveX. 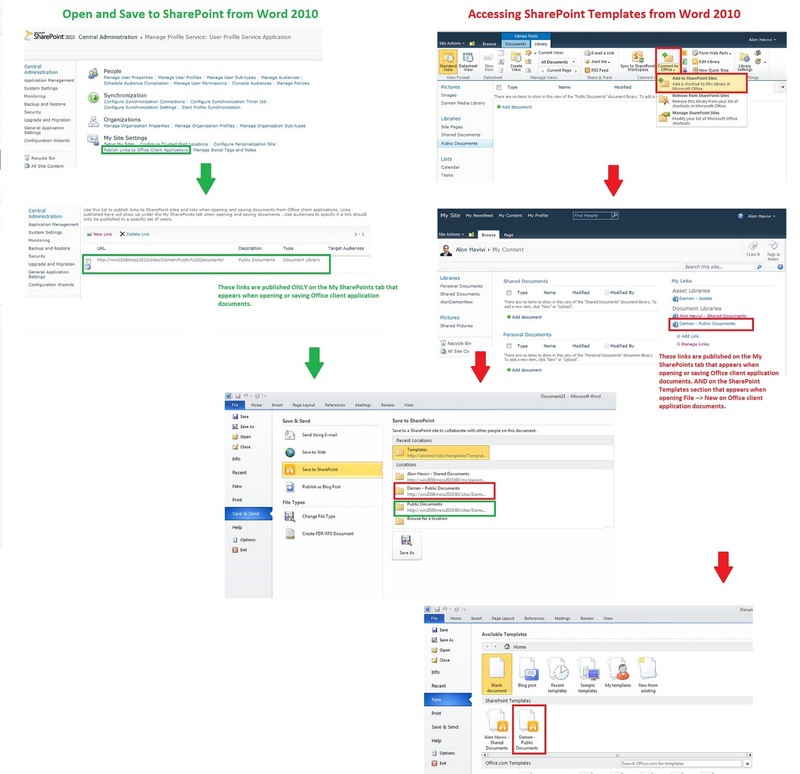 Connect to Office or Sync to SharePoint Workspace - Which to do? Everything I also lov. amazing post!